Wondering how to setup Cloud Services to take advantage of Cloud Computing? This set of articles will summarize the steps needed to set up an account for two different Web Services – Amazon Web Services and Microsoft Azure Services. We will discuss how and why you should implement some key services associated with the Cloud service. Let’s start with talking about Cloud Computing in general. Cloud computing is shared pools of configurable computer system resources and higher-level services that can be rapidly provisioned with minimal management effort, often over the Internet. Cloud computing relies on sharing of resources to achieve coherence and economies of scale, similar to a public utility. Whether you are running applications that share photos to millions of mobile users or you’re supporting the critical operations of your business, a cloud services platform provides rapid access to flexible and low cost IT resources. With cloud computing, you don’t need to make large upfront investments in hardware and spend a lot of time on the heavy lifting of managing that hardware. Instead, you can provision exactly the right type and size of computing resources you need to power your newest bright idea or operate your IT department. You can access as many resources as you need, almost instantly, and only pay for what you use. What are advantages and Benefits of Cloud Computing? There are numbers of advantages of cloud computing, here are some of them. By using cloud computing, you can achieve a lower variable cost than you can get on your own. Because usage from hundreds of thousands of customers are aggregated in the cloud, cloud service providers can achieve higher economies of scale which translates into lower pay as you go prices. Amazon Web Services (AWS) is a secure cloud services platform, offering computing power, database storage, content delivery and other functionality to help businesses scale and grow. AWS cloud products and solutions help to build sophisticated applications with increased flexibility, scalability and reliability. AWS provides on demand cloud computing platforms (i.e. on-demand delivery of computing power, database storage, applications, and other IT resources through a cloud services platform via the internet with pay-as-you-go pricing) to individuals, companies & governments, on a paid subscription basis. Apart from that, AWS offers a selection of Services at no cost for the first year, under their Free Tier. How to create an AWS account? Here are the steps to create an AWS account. Creating an AWS account requires basic information to set up your account. This first user is established as the root user or Admin user. Next, you have to link your account to AWS and select a payment method. During this process AWS enacts a request to withdraw $1 from your account to verify the payment method is valid. Once the verification has passed, the request is rescinded so that your account is not charged. After your payment account is verified you can login as a root user (Administrator). Root Login has the privilege to create multiple users as per their requirement/usage with the help of IAM (Identity and Access Management) Service. Only root login can see the Billing Dashboard or make payments, unless a new user with same privilege has been created. What is the Identity and Access Management (IAM) service? Identity and Access Management or IAM Service comes under Security, Identity & Compliance Section of All Service Section. AWS IAM provides identity management capabilities for AWS customers by enabling IT administrators to control which users have permission to access various AWS resources and the type of actions they can perform. AWS IAM leverages three core objects for managing AWS identities and access: Users, Groups, and Permissions. Users represents actual AWS customers and serves to authenticate individual user identities and provision access. Groups are a collection of users, which allow an administrator to manage multiple users at once. Permissions determine which AWS resources a particular user or a group of users has permission to access and the actions they can perform. The purpose of AWS IAM is to help IT administrators manage AWS user identities and their varying levels of access to AWS resources. For example, AWS users can be created and assigned individual security credentials (e.g. passphrases, SSH keys, MFA), granted permission to access AWS, or be removed at any time. In doing so, organizations gain granular control over who has permission to access their AWS resources, which resources are available, and the actions authorized users can perform within their provisioned resources. Data Storage on AWS – What is simple storage service (S3)? 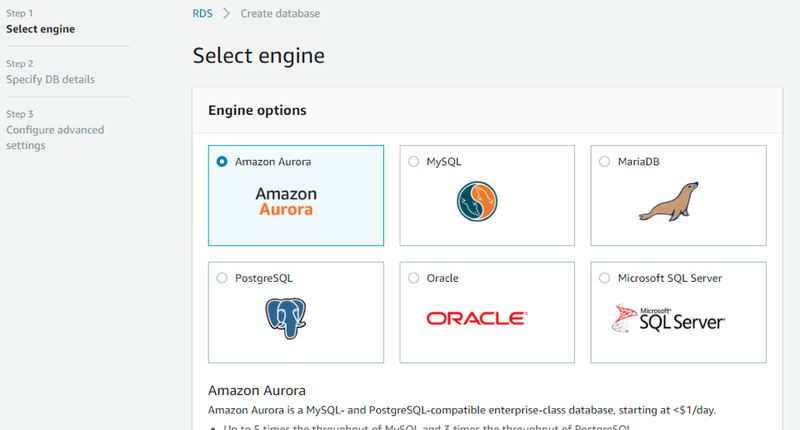 Amazon S3 is object storage built to store and retrieve any amount of data from anywhere – web sites and mobile apps, corporate applications, and data from IOT sensors or devices. It is designed to deliver 99.999999999% durability, and stores data for millions of applications used by market leaders in every industry. S3 provides comprehensive security and compliance capabilities that meet even the most stringent regulatory requirements. It gives customers flexibility in the way they manage data for cost optimization, access control, and compliance. S3 provides query-in-place functionality, allowing you to run powerful analytics directly on your data at rest in S3. And Amazon S3 is the most supported cloud storage service available, with integration from the largest community of third-party solutions, systems integrator partners, and other AWS services. Create Buckets – Create and name a bucket that stores data. Buckets are the fundamental container in Amazon S3 for data storage. It is uniquely identified across all buckets on S3. Permissions – Grant or deny access to others who want to upload or download data into your Amazon S3 bucket. Grant uploads and downloads permissions to three types of users. Authentication mechanisms can help keep data secure from unauthorized access. AWS offers many services in multiple regions; the availability and price of the services vary based on the client location (zone) or use of application. For the pricing examples below, let’s assume US East (Northern Virginia) Region for further understanding.